Heartbreak. Where does it come from? Why does it feel so strong? Why must it be so devastating? Why does it haunt the flesh? These are the questions we usually ask ourselves after we lose something we hold so dearly. Be it a game of cricket or a first love sweetheart of a girlfriend. 2 runs off 3 balls, in any form of cricket is a "Walk in the park". This would not be the case for the Bangladeshi T20 cricket team in their match against hosts, India. Heartbreak. Where does it come from? Why does it feel so strong? Why must it be so devastating? Why does it haunt the flesh? These are the questions we usually ask ourselves after we lose something we hold so dearly. Be it a game of cricket or a first love sweetheart of a girlfriend. 2 runs off 3 balls, in any form of cricket is a "Walk in the park". This would not be the case for the Bangladeshi T20 cricket team in their match against hosts, India. Bangladesh, coming into this match have not won a single game in the Super 10 stage of the tournament. The had one of their best batsman returning: Tamim. One would feel that they were going to come at Team India very hard. Why should this be the notion?... They had nothing to lose while India had the odd chance of being knocked out of a major tournament in the Round-Robin stage. Bangladesh, after having won the toss decided to have a bowl first. This was a very wise decision by captain Mashrafe. India is an excellent chasing team. Negating this places the odds in the favor of Bangladesh to a certain extent. They did well in restricting India to below par score of 146. They even held India's best batsman, Kohli, to only a solitary boundary. Bangladesh must have felt that they had a shot at the target during the interval between innings. 147, in a ground that's known for big scores. How could that be a challenge for the chasing team? Bangladesh took control of the first 6 overs. They were side by side with the required run-rate. Ravi Ashwin was spinning webs. Tamim was batting great; in charge of the bowling until he danced down the wicket to an angling Jadeja delivery and was stumped by Dhoni. Any novice follower of cricket would say that's not a problem. The runs will come. And the runs did come... but wickets were falling as well. Dhoni made a stumping that was lighting quick to dismiss Sabbir. Sabbir, Shakib, and Souyma all had starts. They did not want to stay till the end. The required run-rate was never an issue. The frequency of the noise coming from the crowd described the situation of the game. This was not India's best performance. They were very undisciplined in the field. They dropped catches. They gave away runs from misfields. The gave away runs from direct hits. They looked deflated as the required runs were getting smaller and smaller. 1.6 billion souls prayed for a miracle. When you need 9 runs an over for the last 3 overs, you would think that it's more than gettable. Riyad, the finisher, was there at the crease, with him, Mushfiqur. The tension was very much present. Hearts were beating. Fingers were crossed. The silence of the Chinaswammy Stadium was like a funeral. India was facing elimination. 17 needed off 12 balls and Bumrah had the ball in his hands. Bumrah's day(night) wasn't one to remember. He misfielded balls and drop a catch. He would prove to bowl a very crucial over 19th over. Almost every ball was full length. He was aiming for the yorker. The result of this over was singles off every ball of the over. Great job Bumrah!!! Exactly what India wanted. The pendulum was tipped in their favor and the deafening sound of the Coliseum was emanating once again like lava from a volcano. Pandya had the responsibility of bowling the final over. 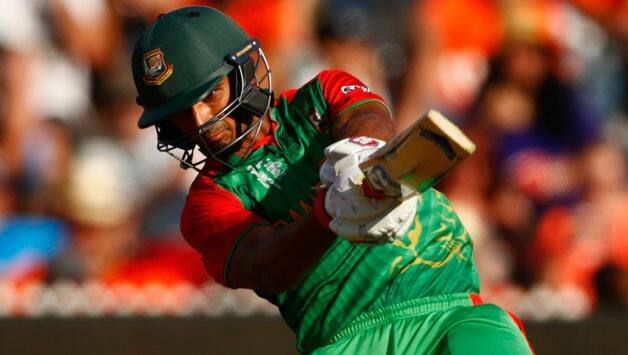 Eleven to get for Bangladesh in what would be their first win against India in this format. Dhoni had a conference with his bowler and fielders, making sure everything was right. Captain delivered once again. He made Pandya a god in Indian folklore. Even in the last over after Mushfiqur hit back to back boundaries, you felt that the job was not over yet. You have to get your team over the finish line then you can celebrate all you want. Needing 2 runs off 3 balls is elementary stuff. You might want to knock it around and run the single, or you may feel like you have the responsibility to clear the front leg and hold on to the grip of your bat very tightly and close your eyes and swing for the fences. Both Mahmudullah and Mushfiqur choose the latter, and they were dismissed. Coaches in Kiddy cricket need to teach their budding cricketers of the consequences of celebrating a win prematurely. Footage from the final over of this game should be shown at every cricket academy in the world. Teach the kids right from wrong; preemptive from reactive. Heartbreak will continue to follow the team only if these mistakes are repeated. This was a spectacle of immaturity. I gave them the benefit of the doubt for never being in a situation like this. We may debate on who is the most under-pressure player all we want, but we should be able to determine what makes a player an under-pressure guy. In life, we often times learn from our mistakes. Wounds inflicted on us usually heal. What can cure a heartbreak? In the end, we should all remember that this is a game of glorious uncertainties. This beautiful game that we love so much. We should glorify it. Mistakes sometimes disappear. Heartbreaks always disappear. I am going to say that today Bob Marley is wrong and I am right when I say: The sad times of today, are the good thoughts of tomorrow. I don't know where Bangladesh will find their Panacea. A lot of soul-searching is needed in the days ahead. They will most definitely need a new captain and new, fresh faces in the mix. Restricting India to 146 at Chinaswammy Stadium is an accomplishment. I commend them. Keep your heads up high fellow Tigers. Be strong. Persevere. About the author(s): Parmanand Singh is a great fan of Bangladesh Cricket. He is finishing his undergrad and lives in NYC. He is also a very active participant in BanglaCricket forum, and goes by the nick aklemalp in our forum.